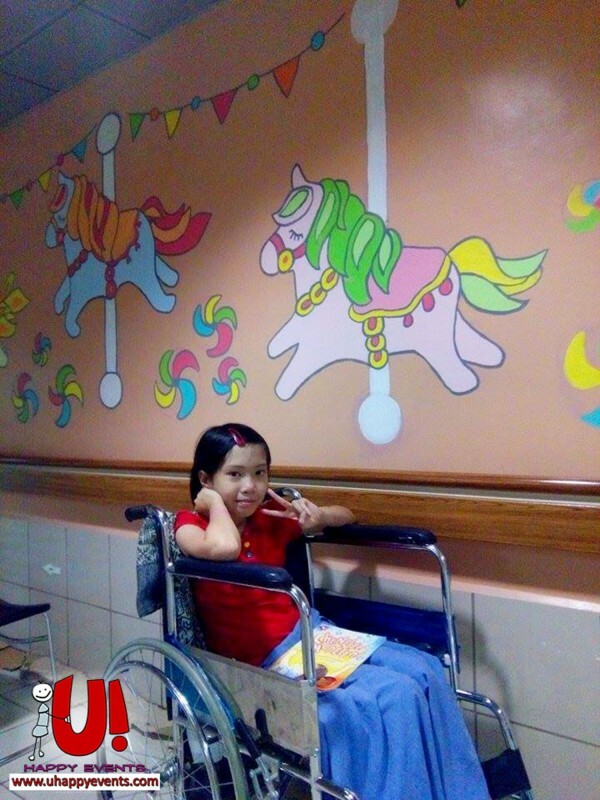 It’s been awhile since we visited and celebrate a fun afternoon at Philippine General Hospital. PGH is one of the well-established hospitals in the country. It opened its door to the public in 1910. It was transferred to University of the Philippines in 1947. If is one of the prestigious training hospitals in the country. The U! Happy Events team facilitated the birthday celebration of Ate Janna Borrillo with the help of some of the doctors at PGH including Dra. Emmy Cua. We invited the children who previously had a heart surgery. Some of them had bypass at a very early age. It was a heartwarming event as the children are currently doing well. The most recent case was less than a year ago and the longest one was 17 years back. We started the day by grouping the kids and volunteers so they can share things about themselves and get to know each other. We then had Bring Me Art where the members of the group were to cut out the item that we asked for. They did cut-outs of hearts, crown, fish, fireball and others. The first team that had all the members finish got a point. We then played the Pera or Bayong where participants in pairs answered trivia questions by going to the letter which they think was the correct answer. The last remaining pair got to play the jackpot round where they got to choose between “Pera” or “Bayong”. 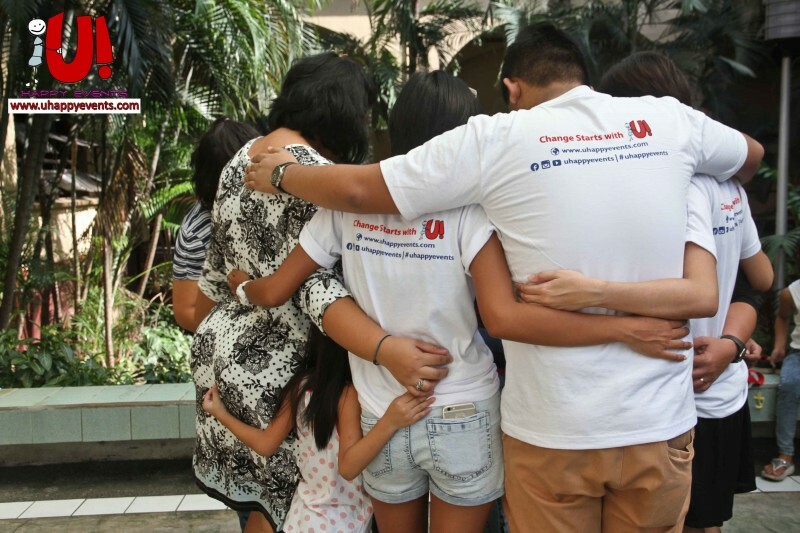 The mother and daughter pair chose the “bayong” which had 10 story books in it rather than the Php 1,000 cash that Kuya Harvard offered. A 25 minute Magic performance followed by Kuya Jacob. The crowd was delighted with tricks left and right. Birds coming out of nowhere and fire showing up to make a candle or umbrellas appear. An adorable child joined in to make the show even more entertaining. We then ended the day by giving food, gifts and prizes to the kids. Children’s Wish Foundation International honors the creativity and love in every wish. We’ve got thirty years of amazing stories to share with you through a new blog feature “Classic Wishes“. Our first beautiful wish below was featured in Chicken Soup for the Parent’s Soul. The book, originally published on September 14, 2000, spent twelve weeks on the New York Times Best-Seller List, three of those in the top ten. Lee Katherine had a bright future ahead of her. At the age of fifteen, she had charted her path in life and was determined to become a marine biologist. She had always felt a close connection to the sea, and told her parents, Robert and Ruth, that her love of marine life would help thousands of animals one day. In her back pocket she carried a book written by her hero, Jacques Cousteau, and the tattered pages only further illustrated her conviction to become a famous marine biologist. It was during this time that Robert and Ruth were dealt the devastating blow of having their daughter diagnoses with a terminal illness. After doctors delivered the news that she had cancer of the nasal cavity, all of their dreams for Lee Katherine came crashing down. Although her parents did everything they could to help her fight her illness, including seeing her through a rigorous round of chemotherapy, Lee Katherine’s medical team soon realized she was losing her battle. They told Robert and Ruth to take her home and keep her comfortable; there was nothing else they could do. As they left the doctor’s office that day, Robert and Ruth were in a state of shock; they couldn’t believe that their beloved daughter was going to lose her battle. Still reeling from the sting of what they had just learned, they were unprepared for what Lee Katherine told them next. Shocked, Ruth nodded, but was shattered inside, believing that she had nowhere to turn for help. Despair turned to desperation as she struggled with the realization that she would not be able to fulfill her daughter’s last request. It was only a few days later when Ruth ran into a friend at the supermarket, who happened to be a volunteer in this foundation. The friend asked about Lee Katherine and Ruth repeated her daughter’s wish, saying, “It’s the only thing she wants to do and I don’t know how to do it.” Her friend gave her the number for Children’s Wish Foundation International. Ruth called the foundation’s headquarters and explained Lee Katherine’s situation. She told the foundation that her daughter would not live to see her dream of becoming a marine biologist come to fruition, but that she clung to the hope that she would experience the magic of swimming with the beautiful dolphins that had always captivated her. That very day, Children’s Wish sent an overnight package containing all of the paperwork the family needed to sign along with instructions for Ruth to overnight the signed papers back. 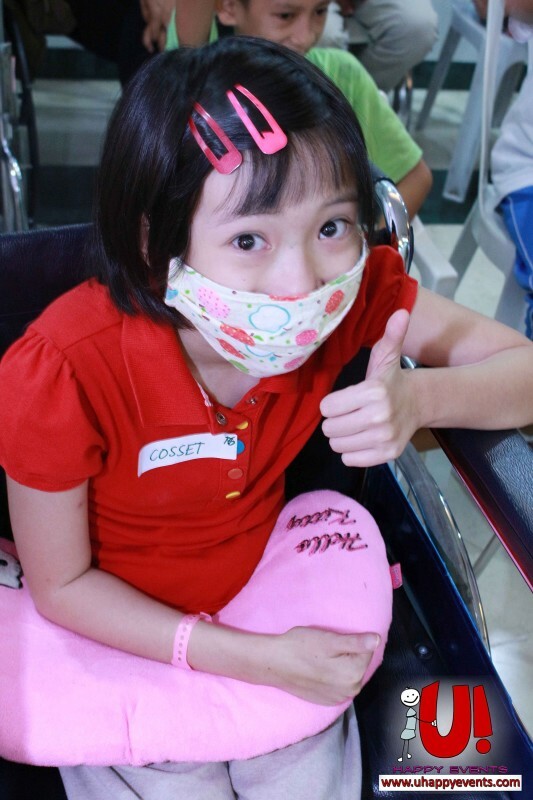 Calls were placed to Lee Katherine’s medical team immediately to inquire about any special provisions that should be made for a child in her condition. These doctors knew that Lee Katherine could pass away at almost any time, but with Lee Katherine’s determination to swim with dolphins so strong, they approved her for traveling and signed off on the medical forms. They also provided guidelines that needed to be followed carefully for the young girl’s comfort and safety. Too frail to travel by air, the foundation rented a special RV to transport Lee Katherine from her home in North Carolina to the Florida Keys. To help alleviate the pain, doctors had her receiving round-the-clock morphine treatments through an IV, and it was necessary to equip the RV with padding to provide Lee Katherine comfort as she traveled. It was obvious to all who saw Lee Katherine that her illness had taken its toll, and most of all to Ruth and Robert. But as the RV drew closer and closer to the dolphin center, her entire spirit changed. Memories of her illness and thoughts of what lay ahead were replaced with a renewed excitement of finally having her wish fulfilled. Before she could enter the water, the IV administering the morphine had to be removed. There were concerns about how she would manage the pain but Lee Katherine was determined. Ruth placed a life vest over her daughter to keep her afloat, then stood by and watched as a team of volunteers carefully lowered Lee Katherine into the water, where two beautiful dolphins awaited her. What happened next was a miracle to all who were present. 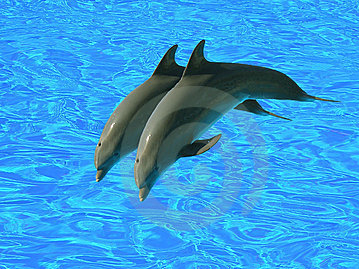 The two dolphins, Nat and Tursi, seemed to instinctively sense Lee Katherine’s fragile condition. They nudged her neck, gave her soft dolphin kisses, provided gentle piggyback rides, and delighted her with leaps over her head. Throughout the swim, despite her fragile appearance, it was hard to believe that she was sick at all. As the sun sparkled across the water, Ruth and Robert watched their terminally ill daughter beaming with happiness as her lifetime dream was fulfilled. She explained how she felt that communication with the dolphins was her “bridge to the other side” and she now felt totally peaceful. Miraculously, for Lee Katherine and her parents, she never needed a another drop of morphine. Just thirty-six hours after her swim, Lee Katherine passed away. In the midst of their enormous grief, Ruth and Robert felt their daughter had given them a priceless gift they never expected. Through her courage, grace, and determination, Lee Katherine taught them that even in the most tragic circumstances and regardless of how short is the life that was lived, dreams can come true. The images of her laughing and swimming with the dolphins remain forever etched in her parents’ hearts as a reminder of the gift of Lee Katherine to her family. In order to fulfill their daughter’s final wish, Ruth and Robert returned her once again to the Florida Keys. There, they scattered her ashes amongst the same school of dolphins that had brought their daughter so much joy and peace. They had indeed been her “bridge to the other side”. 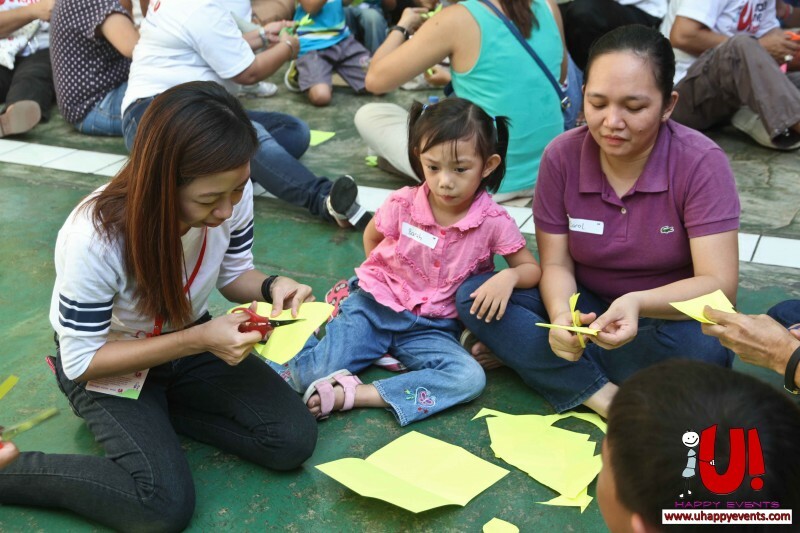 We started the day by pairing the kids of Children’s Joy foundation with the volunteers and forming them into groups. They then came up with a group name. Our first activity was getting to know activity where volunteers and kids talked about their favorite color and food. A representative of the group came up to the front and introduced their groupmates. The second activity was Paint a Picture. The groups were given a scenario and the members were to strike a pose as a team showing the scenario. For instance they painted a picture of a concert and playground. Our main activity for the day was accessory making. 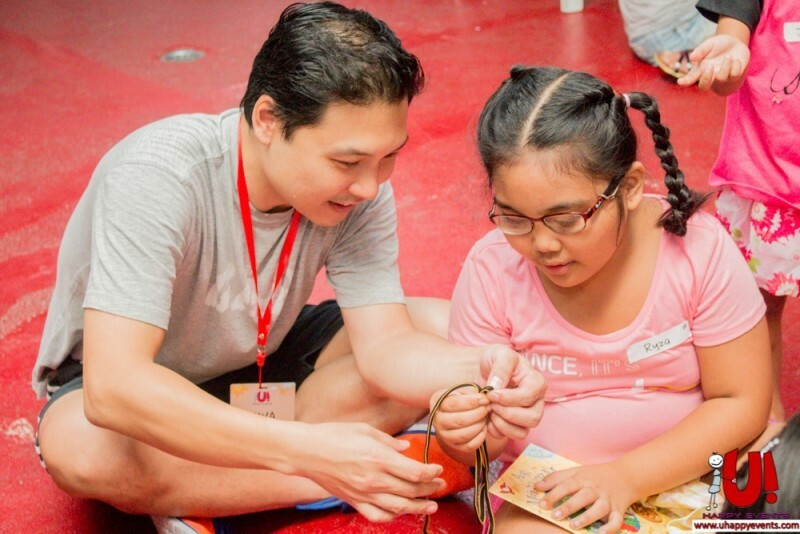 The kids were taught to make braided bracelets using different colored shoestrings. Once the kids learned how to make the bracelets they kept making more. 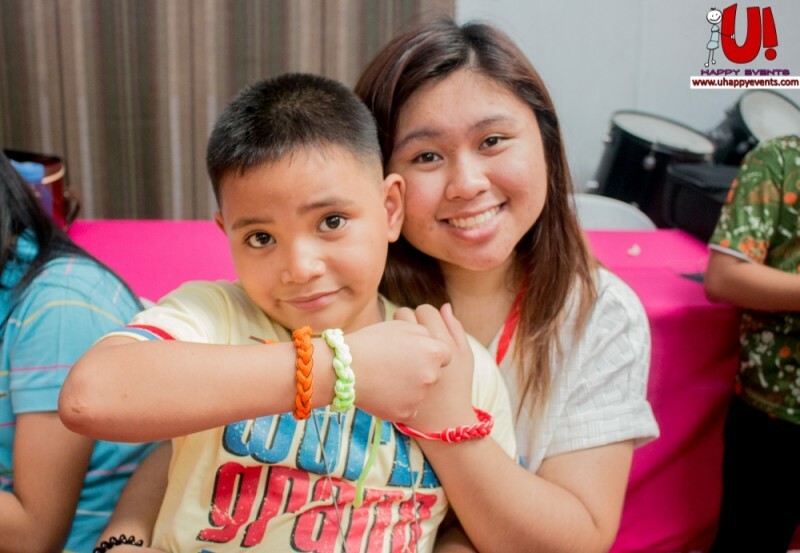 Some of them had so much fun that they were able to make more than two bracelets. 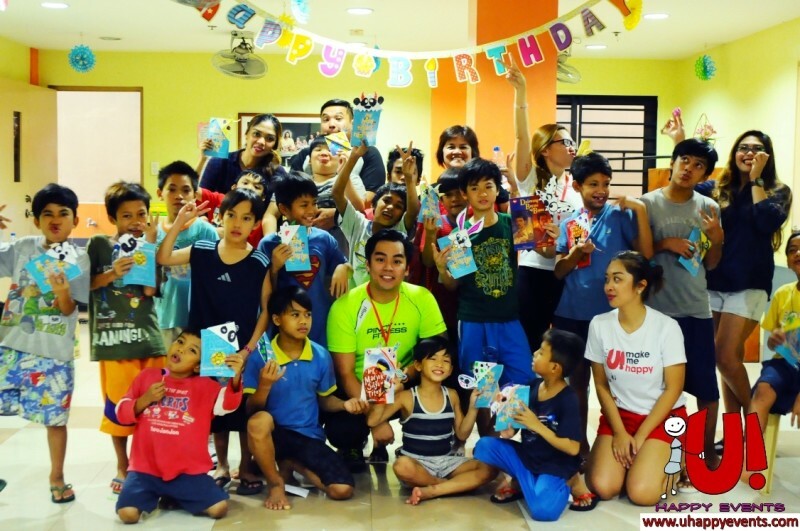 We then gave out snacks and we did our traditional gift giving with the help of the birthday celebrants Ate Andrea and Ate Ara. The celebrants gave an emotional message saying they’ve been wanting to give back to the community. They were thankful to U! Happy Events for paving the way for them to be able to do so. They decided to raise funds and create an event for the kids of Children’s Joy Foundation. They were able to raise funds which exceeded their expectations that allowed them to sponsor an event and come up with the gift items for the kids. The kids then gave a special performance by singing a Happy Birthday song, a Thank You song, and a couple more songs for our volunteers. Three talented kids did the music accompaniment by playing guitar, violin, and beat box. We ended the day with the volunteers and kids giving hugs to each other and being thankful for the day well spent. Actress Baek Jin Hee will be going to Cambodia along with international children’s charity organization Plan as a volunteer. Starting from January 27 until February 2, Baek Jin Hee will be visiting the Angkor region of Cambodia, where there are two out of four healthcare centers established by Korea’s Serim Hospital. At the healthcare centers, Baek Jin Hee will be distributing toothpastes, toothbrushes, soaps, and other hygienic products to children. Just as she visited a daycare center last year, Baek Jin Hee plans on developing a strong connection with the children she will meet through this opportunity. 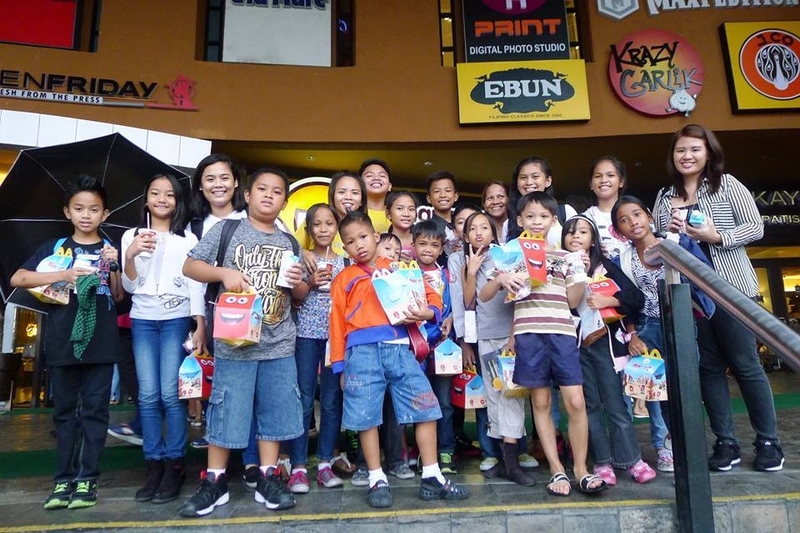 Last September 12, 2015, 25 kids were given an opportunity to see Layeta Bucoy’s “Prinsipe Munti” (Tagalog version of Antoine de Saint-Exupery’s The Little Prince) live on stage at Teatrino, Promenade Greenhills. Most of the kids who went to see the play were the ones who were interested in acting and have experienced it during some of Right Start’s events. They said they learned a lot from it. They even noticed that the actors were really in character and that they had memorized all of their lines. One of the children commented, “Natutunan ko yung pag acting nila. Hindi sila mali-mali at kabisado nila yung script nila at sila ay hindi magulo”, while another one said, “Hindi sila tumatawa kapag nagdudula-dulaan..” Learning and seeing these things stirred up something in the kids that could fuel up their passion in acting. Thank you so much to U! Happy Events for bridging these kids to the sponsors who made this possible. Thank you also for the books that they were reading while waiting for the play to start and their Happy Meals before they went home. A day of wacky fundraising activities at a village pub in Kent raised £4,000 for a children’s charity. 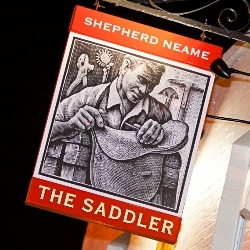 Shepherd Neame pub The Saddler in Minster hosted the event, organised by village resident Etta Bonugli as her 16-year-old daughter Isi has Rett Syndrome – a rare neurodevelopmental disorder usually diagnosed in girls around their first birthday, which is currently incurable. 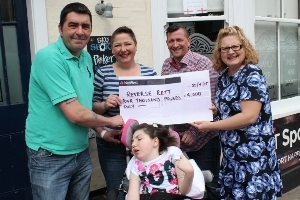 Etta volunteered to have her shoulder-length hair shaved off at the fun day, and her 18-year-old son Somerset and pub licensee Steve Bamford endured a sponsored leg wax, along with five other male friends who drink regularly at the pub. A host of other fundraising activities also took place during the day, including karaoke, face painting and glitter tattoos, a raffle and tombola. More than 150 people attended the event, raising £4,000 for children’s charity Reverse Rett, which works to fund research into treatments for Rett Syndrome. The fun day was a real community event, with village hairdresser Michael Abbott volunteering to shave Etta’s head, and more than 100 raffle and tombola prizes donated by local businesses. Etta’s school friends Ruth Relfe and Penny Osborn also helped organise the fundraiser. Another day is another chance. A chance to be happier, to love even more and to live a life with purpose. At U! 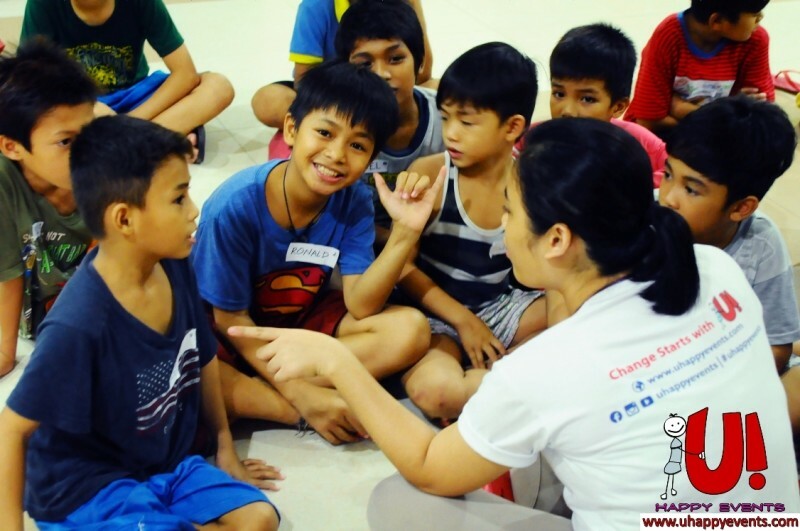 Happy Events, we share happiness, love and life by providing sustainable support and teaching values to children in the Philippines. For this day, our lovely volunteers together with U! 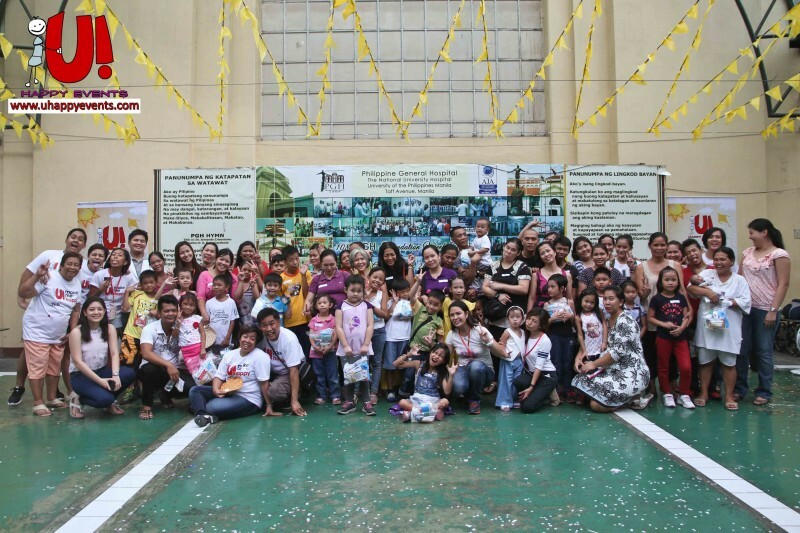 Happy Events Core Team had the chance to celebrate life with the kids from Kuya Center for Street Children. Game time! Cheese Rings Relay! The kids and volunteers were divided into groups and given each with straw. All they have to do is to shoot a Cheese Ring on their straw using their mouth, run around the post and pass along the Cheese Ring to the team member next in line. First to finish, wins! Next is the Move Relay. All it requires is one’s dancing skills. Flex, stretch, twist, turn, and wiggle that hips! The groups will again form a straight line. Then at the go signal, the first in line should dance for 5 seconds and run to the next spot after. On that station, a Hoola Hoop awaits. Grab the Hula Hoop and try to make a few hip turns in it! Run back to the line and let the others do the same. First group again to make their bodies shake wins the game. So much for exercise! 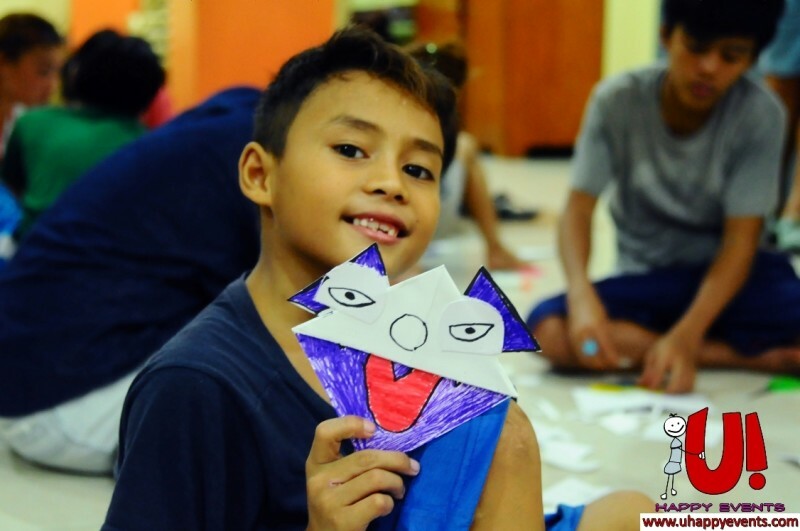 For the main activity, Kuya Robby shared his creativity and talent in turning scraps into a masterpiece. So for book lovers, here’s something you may have fun doing too: colorful and animated bookmarks! From colored paper cutouts, glue and scissors, we were ready to go! Kuya Rob asked us to think of any inspiration to make as our model. Some thought of their favorite animals, cartoon characters or monsters to play with. Just a few cutting and reassembling, TADAH! Finished product: super cute Page Munchers! We only have one life and a chance to celebrate it. Some people just choose to make it a little more colorful by sharing a piece of their life with others. Indeed, we left not only happy memories but also blissful heart beats. Be happy, be in love and make a life with U! Happy Events. 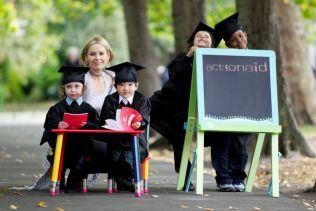 The ‘Every Child’ campaign was launched by ActionAid Ireland this week, with the charity hoping to give more children in developing countries access to education—a right often taken for granted in the developed world. ActionAid Ireland, an organisation that was founded in 1983, works as part of ActionAid International in fighting poverty and injustice in Africa, Asia and the Americas. 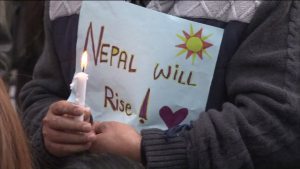 According to the charity, they see education as a “core strategic theme,” because it is a fundamental human right and is key to helping people lift themselves out of poverty. 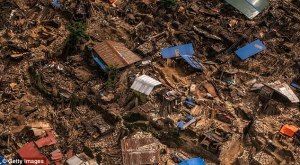 With the launch of the new initiative, ActionAid Ireland is asking Irish people to help children and their communities in countries such as Uganda, Kenya, Vietnam and Cambodia. ActionAid Ireland believe that for as little as 76 cent a day, sponsoring a child can help to build an education system, provide access to clean water, and improve livelihoods so children no longer have to work and can attend school. 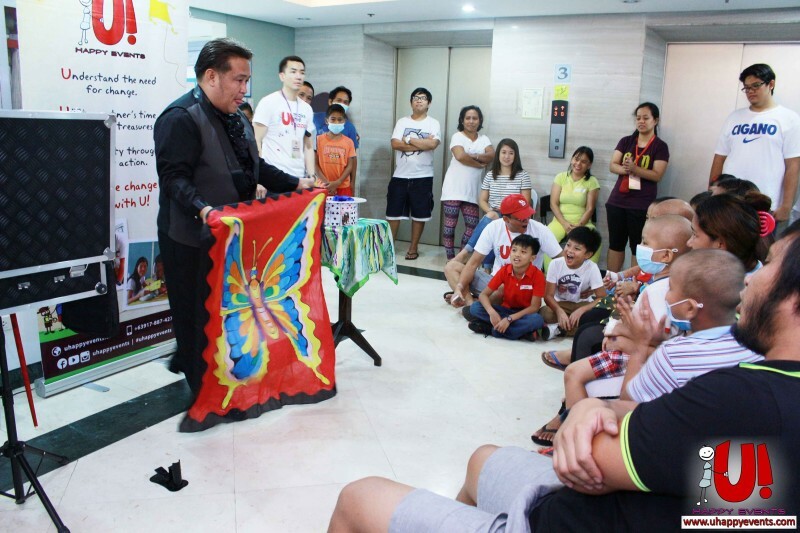 It was our 5th sponsored mural event at Ospital ng Makati thanks to birthday celebrant, Kuya Gino Victorino. This partnership with the hospital started last December 2014 and we are tasked to have 2 more before say goodbye to 2015. By that time the whole pediatric floor will be filled with designs and colors that enriches the conditions of the patients. 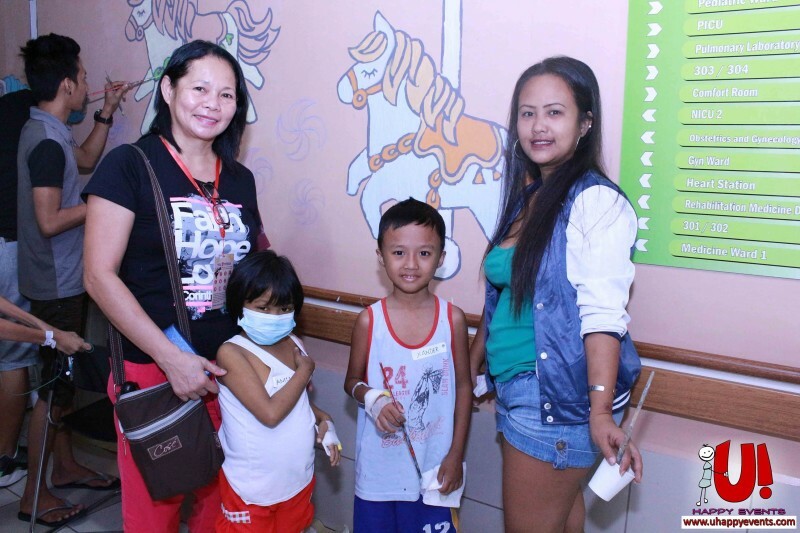 Since it was rainy season, the wards were filled with patients. We opted to have our happy gathering in the hallway anyway. 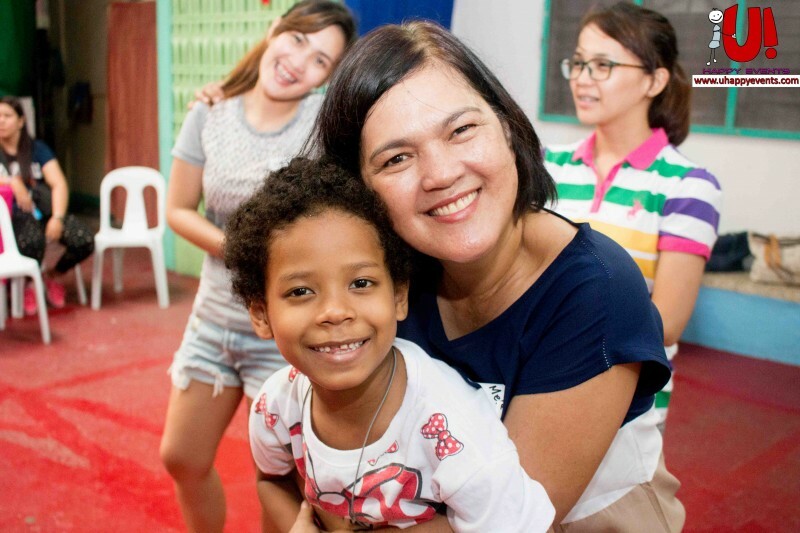 Sometimes the spirit of volunteerism finds ways and we believe it was timely for us to celebrate with the children there. The program started with volunteers lined up in front to share their names and favorite colors. I also tasked them to name three items of the same color they like. They had to be on their natural color of course. Though the volunteers had a challenging time, it entertained everyone. The volunteers were paired up and it was the patients turn to share their colors. I told them to remember their favorite ones for the mural workshop later on. We had one game that we always play with patients- Body Works. Here pairs find their way to connect each ones body parts. It can get tough because each instruction was connected to another. After eight straight commands, three pairs remained. Some of the Kuyas and Ates got really competitive. 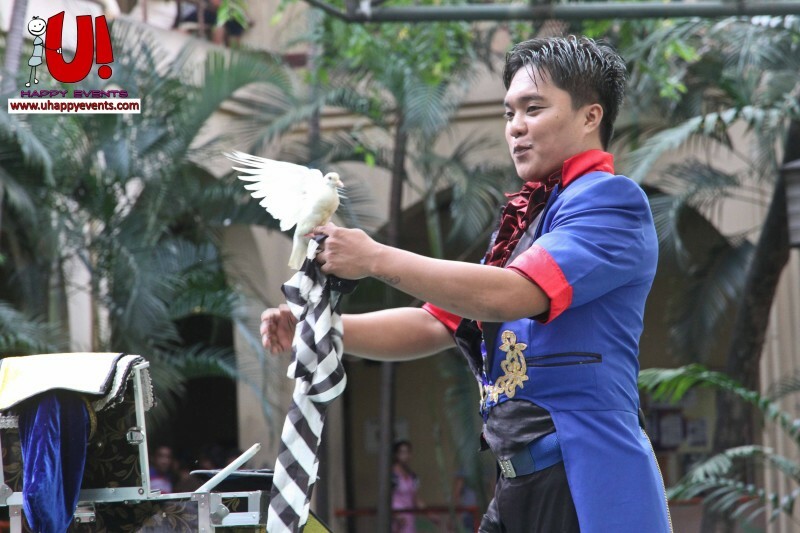 Kuya Koby took the stage next to entertain the crowd with Magic. The young children faces lit up and clapped repeatedly on every magical moment. I saw some adults focused on the show as well- they were smiling and cheering as well. Before we pursued the hallway walls for color, Ate Blanca, our artist, gave instructions on how one should paint. She highlighted stroking in one direction and using paint wisely. After less than an hour, the carousel theme came to life! We rewarded everyone with a hefty meal after. Gifts followed. Kuya Gino requested us to provide hygiene kits and this was his blessing to the children. It is a practical gift to give. One of his friends gave slippers too! We gathered all for a big photo. We took this opportunity also to sing a Happy Birthday song! Kuya Gino we appreciate your contribution and we look forward to partnering with you again! Hey, if you wish to celebrate life with children too, send us a message. Last month Ronaldo also called upon his vast Facebook following of over 100 million people to donate to the children’s charity. Real Madrid superstar Ronaldo has a history of being charitable, despite his on-field misdemeanour. Last year he reportedly stumped up €60,000 to pay for a 10-month-old boy’s brain surgery.